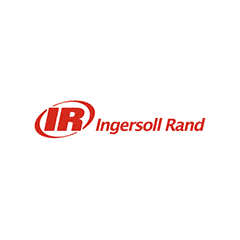 Ingersoll Rand (IR) is one of the leaders in global manufacturing of industrial equipment including mining and drilling machinery, power tools, and manual and electric chains hoists. Simon Ingersoll founded its predecessor, Ingersoll Rock Drill Company, in 1871. The company later took the name Ingersoll-Sergeant Drill Company before it merged with Rand Drill Company in 1905, resulting in the company known today as Ingersoll Rand. Its main three divisions were the Industrial Technologies, Climate Control Technologies and Security Technologies divisions. In 2008, IR acquired and absorbed into its Climate Control Technologies division the established HVAC supplier Trane. Trane was formerly known as American Standard Companies, Inc., and used asbestos in many of its HVAC components. At the time of the Ingersoll Rand acquisition, Trane was reported to have 105,023 open asbestos claims. Prior to the 1980s, other IR products such as gaskets, valve packing and compressors made use of asbestos as a strengthener and heat insulator. Today, IR’s main focus is on mining and construction equipment as well as drilling and blasting procedures. IR has been involved in ongoing asbestos litigation and continues to face lawsuits in both federal and state courts. The lawsuits are predominantly associated with the company’s production of pumps and compressors, which incorporated gaskets and other asbestos-containing parts. In 2017, the Morbidity and Mortality Weekly Report published an analysis of asbestos-related cancer deaths in the U.S. between 1999 and 2015. According to the data, former electrical power generation workers are twice as likely to die of mesothelioma than the general population, and former petroleum refining workers are four times more likely to die of mesothelioma. As of early 2008, IR had settled more than 208,000 asbestos claims, with payouts totaling more than $308 million. Today, the company faces more than 100,000 pending claims, and it expects to pay up to $755 million for pending and future asbestos claims by 2053. A Florida jury recently awarded nearly $1 million to Woodrow McBride’s widow Betty. McBride worked as a power plant worker from 1968 to 1996 and came into regular contact with asbestos-containing products manufactured by IR and several other companies. As a result of his exposure, he received a mesothelioma diagnosis in 2005. He filed the lawsuit in August 2006, just one month before he died. The jury reached a verdict in 2009 against IR and 16 other defendants. The jury awarded McBride’s widow, the executor of his estate, nearly $1 million for medical bills, past pain and suffering, and future pain and suffering. IR’s asbestos-containing products were used for a variety of purposes. Among those who may have been exposed to asbestos via IR products include boiler workers, factory workers, shipyard employees, maintenance personnel and engineers. Employees were at an additional risk if they worked in environments where asbestos was present in workstation fixtures and protective clothing. IR’s asbestos-containing products included valve packing, compressors, sheet packing, steam pump packing, gaskets and braided asbestos.